There are vitamin E capsules which are available on the market that you can simply break open and rub on your skin. Avoid synthetic vitamin E to get the best results. Also read the label before purchasing to make sure there arwe no other additives present. You can use aloe vera gel to mix with vitamin E in order to treat eczema symptoms. In this treatment, it is important to use the gel of fresh aloe Vera leaves to get the best results. Cut a cucumber into small slices, and soak them for 2 to 3 hours. After filtering the liquid, you can apply the slice to the affected places of the skin. The cooling effect of cucumber makes it a good choice to ease the discomfort cause by different types of eczema. In this remedy, you have to make tea from a marigold flower called Calendula. Include 4 to 6 drops of lavender essential oil. This creates a mixture that you need to apply on the affected areas of your skin twice a day. Easy enough for skin eczema! Honey is the nature’s gift that has antibacterial, as well as antiseptic properties. As such, it is extremely effective in various kinds of skin problems including eczema treatment. You can apply honey directly on the skin, or make a scrub out of it and use it that way. This is a good option for eczema on face. Skin at least three organic carrots, and mash them after boiling. This will create a paste which you can apply to the affected areas of your skin. (make sure it is not scalding hot before you use it) Keep the paste on your skin for at least 15 minutes. Then rinse it fresh water. It will give you immediate relief. Another home remedy for eczema is chamomile tea which you can actually get by using fresh herbs. After steeping it for 15 minutes, apply it to the eczema affected areas. Repeat at least once daily. These are just a few of the many effective home remedies used for treating eczema. However, the importance of medical treatment is not lessened by these remedies. You have to take prescribed medicines in order to effectively treat your eczema. These remedies are only suitable to provide immediate relief, or, can be used in conjunction with your medicined if you think that your medicine is not providing you the desired results. 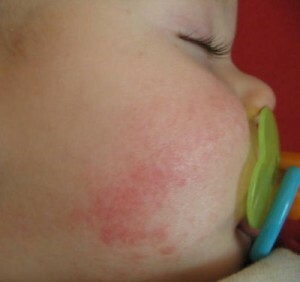 Remember, with eczema, you will feel inflammation of the outer layer of your skin,. That is a sign that you need to get some relief quick. Use one of the above mentioned home remedies for eczema give you the relief you need.